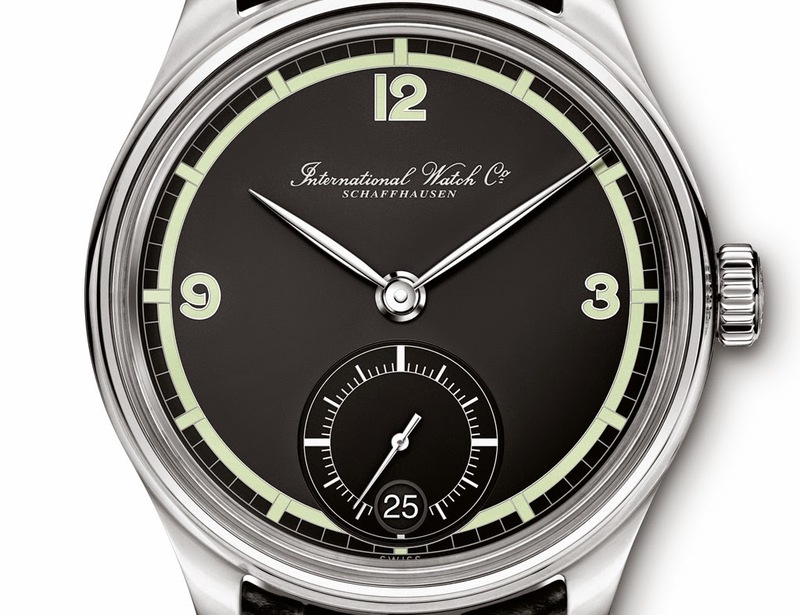 One of the most iconic watches ever created, the IWC (at the time International Watch Company) Portuguese was launched in 1939 with a number of dial versions. Unveiled at the Salon International de la Haute Horlogerie 2015, the new IWC Portugieser Hand-Wound Eight Days Edition 75th Anniversary pays tribute to a version of the original Portugieser that until now has been fairly unknown. Fortunately, an original version of this model had remained in a private collection, and became a source of inspiration for IWC’s designers. 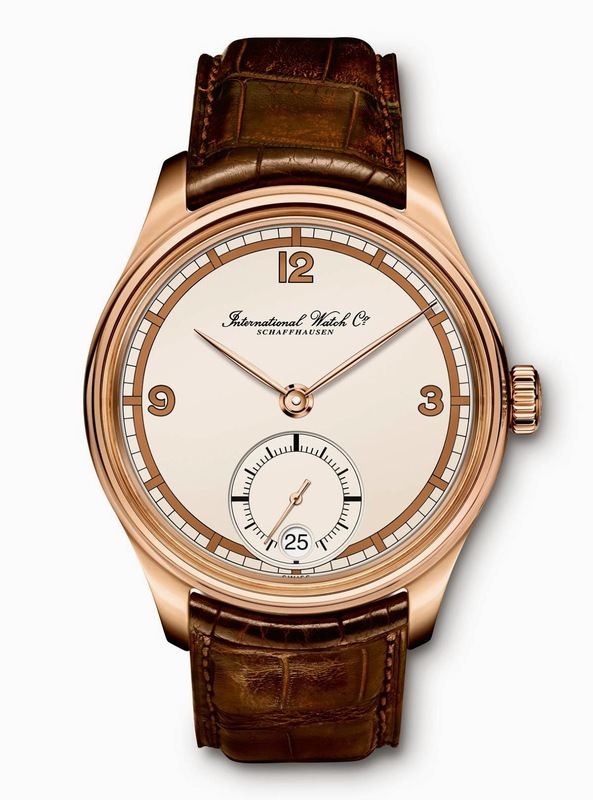 This historic piece features all the attributes which have defined the appearance of the Portugieser to this day: Arabic numerals, slim feuille hands, railway-track-style chapter ring and small seconds at 6 o’clock. However, the inner chapter ring, hour indices and Arabic numerals are aesthetically very prominent in gold brown with black edging. 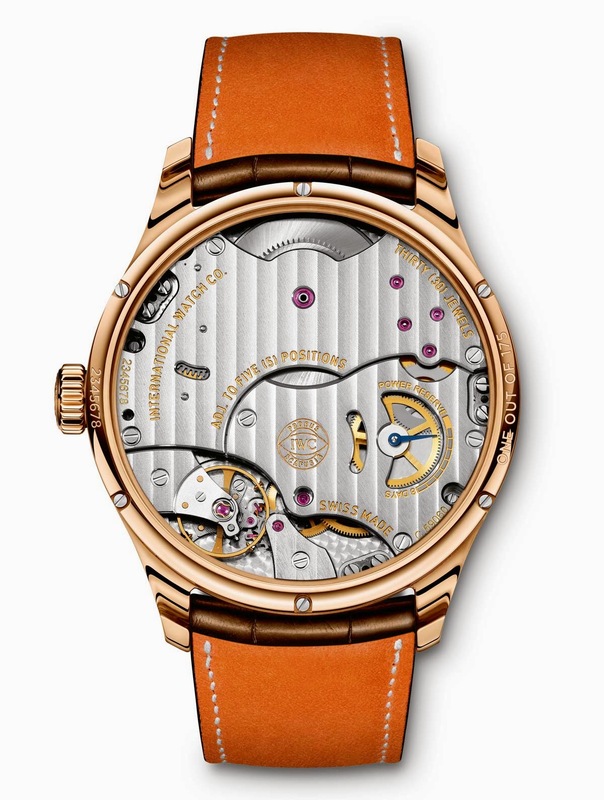 The red gold version with silver-plated dial has adopted the colour scheme and company logo of its forebear almost without change except for the new date display on the subdial at 6 o’clock. 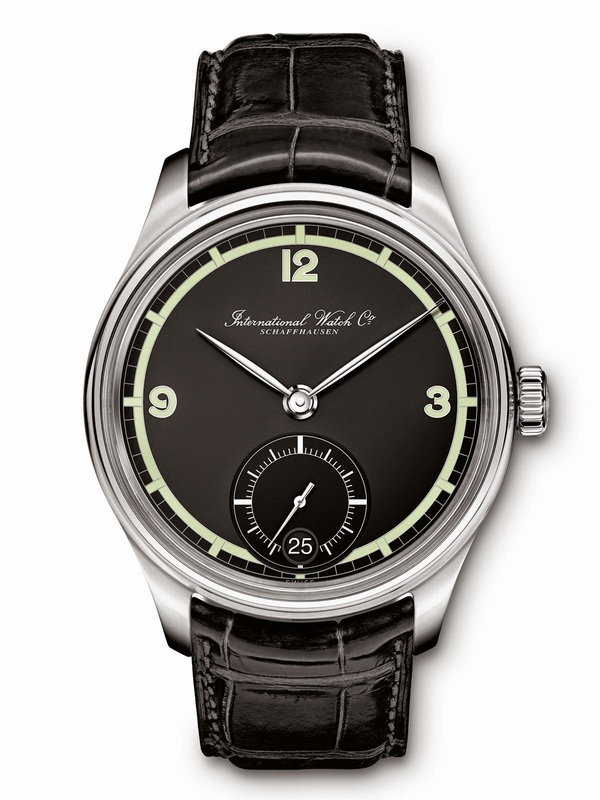 The stainless steel version features a matte black dial in contrast with light green elements. The coved bezel, a typical design characteristic of the Portugieser line, and the arched-edge sapphire glass help to make the case appear less bulky despite its 12-millimetre height and 43-millimetre diameter. IWC’s in-house 59215-calibre movement - beating at a frequency of 4 hertz, or 28,800 vibrations per hour - supplies the watch with energy for 8 days. Actually, it would be almost 9 days, were it not for an system that blocks the movement after the first 192 hours, or precisely 8 days. Through the transparent sapphire-glass back, it is possible to verify the remaining power reserve. SIHH 2015: IWC Portugieser Hand-Wound Eight Days Edition 75th Anniversary. Unveiled at the Salon International de la Haute Horlogerie 2015, the new IWC Portuguese Hand-Wound Eight Days Edition 75th Anniversary pays tribute to a version of the original Portugieser that until now has been fairly unknown. 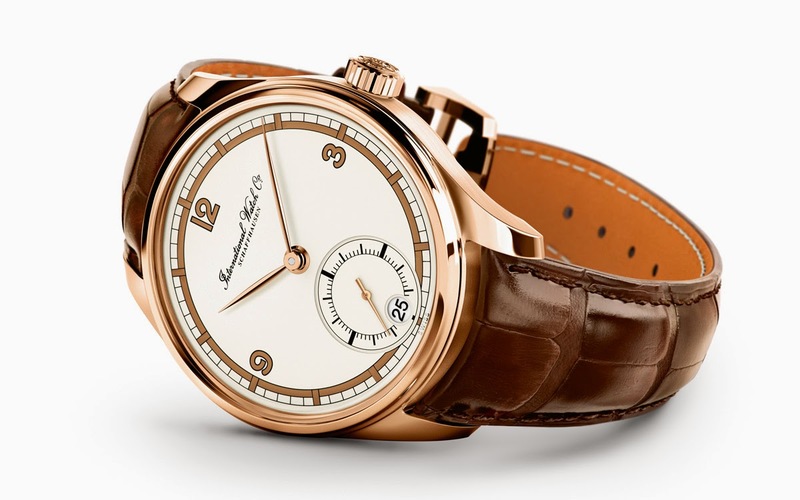 The Portugieser Hand-Wound Eight Days Edition 75th Anniversary will be available in a limited edition of 175 watches in red gold (Ref. 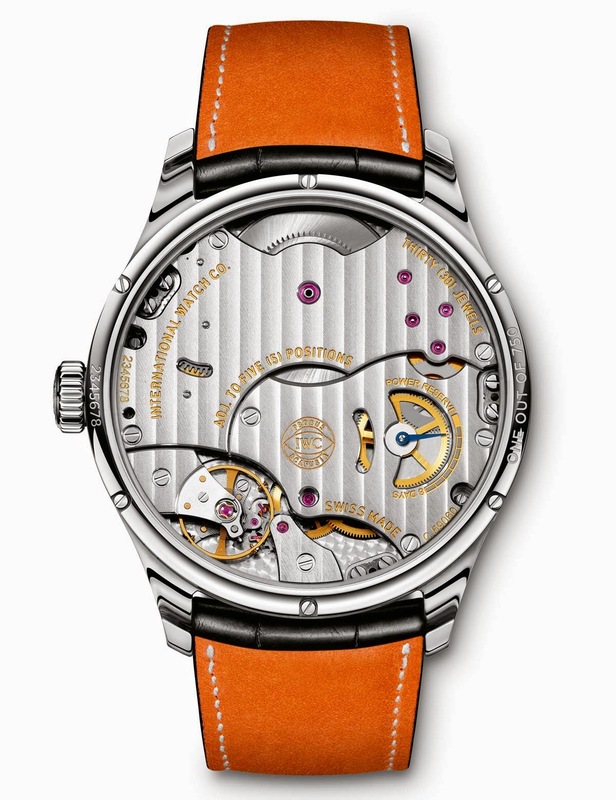 IW510206) while the stainless-steel version (Ref. IW510205) is limited to 750 watches. Indicative prices without taxes are Euro 8,500 for the stainless steel version and Euro 16,000 for the red gold one.